(b) Any other use, including the reproduction, modification, distribution, transmission, re-publication, display or performance, of the content of this site is strictly prohibited. (d) The material provided on the Website is for personal use only and may not be: re-sold and/or redistributed in any material form; stored in any storage media; and/or re- transmitted in any media without the prior written consent of StartUp Creative. (a) The Website may contain links to sites on the internet that are owned and operated by third parties and which are not under the control of StartUp Creative. (b) Any links are provided as a convenience to you and the existence of a link to other sites does not imply an endorsement by StartUp Creative of the linked site. (c) StartUp Creative is not responsible for the material contained on those linked sites. (a) StartUp Creative reserves all intellectual property rights including, but not limited to, copyright in material and/or services provided by it. (b) The copyright in the Website and its content, is owned by StartUp Creative, its affiliates or by third parties who have licensed the materials to StartUp Creative or its affiliates. (a) By purchasing Sales Content, therefore, being a party to a Sale, you agree to the cost of sale, advertised by StartUp Creative on the Website, at the time of the Sale. (b) Subject to sub-clause (c) herein, StartUp Creative reserves the right to change the price of any Sale Content, from time to time, without notice to the Customers or users of the Website. (c) StartUp Creative may not change the Sale Price of an agreed Sale. (ii) refunds issued by StartUp Creative to Customers (Refunds). (c) StartUp Creative reserves the right to change the preferred payment gateway, from time to time, without notice to any Customers. (a) If there is a minor fault with the functioning of your product, please email sales@startupcreative.com.au to request a repair of the product. (c) We do not provide refunds for change of mind. 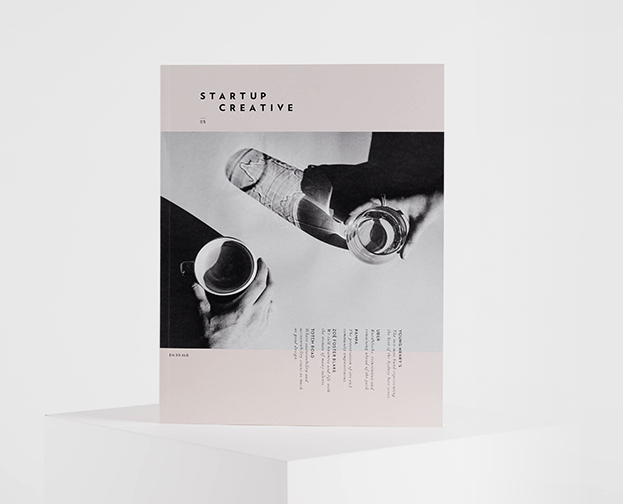 (a) StartUp Creative is not in the business of providing professional advice and gives no warranty, guarantee or representation about the accuracy, reliability or timeliness or otherwise, of the information contained on the Website and/or linked sites on the World Wide Web. (b) To the fullest extent permitted by law, StartUp Creative disclaims any and all warranties, express or implied, regarding: the accuracy, reliability, timeliness or otherwise of any information contained or referred to on the Website and/or of any linked sites; and merchantability or fitness for any particular purpose for any service or product contained or referred to on the Website and/or on any linked sites. (d) Notwithstanding that StartUp Creative has used its best endeavours to ensure that the information contained and accessed through the Website is correct and current at the time of publication, StartUp Creative does not accept responsibility for any error, omission or defect in this information and the Website is provided by StartUp Creative on an “as is” basis. (iii) does not warrant or make any representation regarding your access to, or the results of your access to, the StartUp Creative Website (including any related or linked websites) or any content in terms of correctness, accuracy, timeliness, completeness, reliability or otherwise. (f) StartUp Creative will not be liable under any circumstances for any loss of profits, consequential loss or any damages of any kind recognised by law, which are the consequence of you using or accessing or any inability to use or access the StartUp Creative Website. (a) in the case of goods, the replacement of goods or the supply of equivalent goods, the repair of goods, the payment of the cost of replacing the goods or acquiring equivalent goods, or the payment of the cost of having the goods repaired. StartUp Creative reserves the right to change the terms of access, conditions and notices under which the Website is offered with or without notice to you and without giving any explanation or justification for such change.